A new consumer watchdog, made up of merged bodies the National Consumer Council, Energywatch and Postwatch, begins its work on Wednesday. 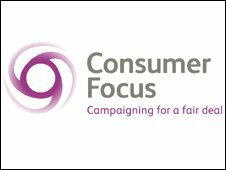 Consumer Focus will be a campaigning organisation, lobbying the government and regulators on behalf of customers. The government says the new body will have greater powers than those it replaces, including the ability to investigate consumer complaints. But MPs have criticised the scrapping of Energywatch as fuel prices rise. Consumer Focus will be UK-wide, working in England, Wales, Scotland and, for postal customers, Northern Ireland. Ministers say the new organisation will give customers a stronger voice, and it will have the power to demand information from companies. But the watchdog, which will receive funding of £15m a year, will only be able to able to help people who are at risk of being cut off or whose complaints are complex. The first point of contact for the new body is the existing government-funded telephone and online service Consumer Direct, which will take responsibility for giving advice on energy and postal issues. A new ombudsman scheme will be created to rule on complaints about energy and postal services that have not been resolved by the companies involved within eight weeks. Last month, the Commons Business and Enterprise Committee said the demise of Energywatch was a "spectacularly bad idea" and put consumer protection at risk. The shake-up is part of the Consumers, Estate Agents and Redress Act, which was approved last year. Other changes to business regulations coming into force require landlords to obtain Energy Performance Certificates, costing up to £80, for rented properties. Some eight million people who have opted out of the Second State Pension will also have more choice over where that money is invested.